Norton 360 review: Is it the best antivirus for home computers? Identity theft and malware are the biggest threats to the internet and computer users. Several new threats popup everyday making it very difficult for computer users to keep their computer up to date with various security solutions to deal with the wide range of malware and spyware attacks. There are several security applications available in the market that can be used to protect your computer from various forms of threats. However, users need to install multiple applications to prevent each form of threats. Also, when new threats start coming, users may need to update each of their security programs to keep them up to date. This becomes very difficult for computer users keep many programs up to date regularly. Norton 360 is a security solution from Symantec, which is an all-in-one security package that protects your computer from virtually all online threats including malware, spyware, adware, virus etc. You do not need to worry about installing or updating multiple security programs. Norton 360 is designed to protect your computer and your important data from all existing and future versions of threats. Norton 360 is not just a security solution. In addition to offering total protection for your computer, it comes with many other utilities and tools to keep your computer tuned to run faster. It include a backup solution that takes periodic backup of your data so that you will not lose your valuable data in case of an unfortunate system crash. Parental controls to monitor and limit your children from accessing unwanted websites. The state of the art anti-phishing system included with Norton 360 silently watch your browsing experience and will warn you in case of any suspicious activity in any website. In case of any phishing sites, you will be notified and protected before you accidentally supply your important information to the phishing sites. Norton Identity Safe is an advanced password vault where your user id and password for various secure websites will be kept safe and will be retrieved when needed by legitimate websites. This will prevent keylogger programs from tracking your passwords when you type them. Norton 360 is designed for Windows client OS. The current version (Norton 360 version 5.0) will work on Windows XP, Windows Vista and Windows 7. Microsoft is going to release Windows 8 soon. 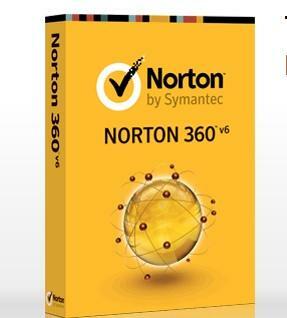 Once Windows 8 available in the market, you can expect to a newer version of Norton 360 that support Windows 8.